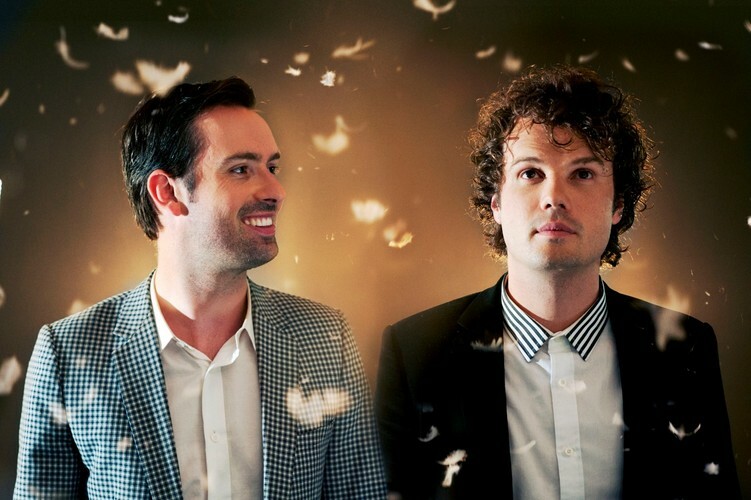 Evermore have their music bus packed and are ready to roll out one of the biggest tours of their career. A troubadour’s journey around Australia to perform the songs from their brilliant new album ‘Follow The Sun’. Evermore brothers Jon and Pete Hume start the tour in their adopted homestate of Victoria on 17th April before they make their way through enough music halls, band rooms and concert venues to reach anyone who has been loved the recent singles ‘Hero’ or ‘Follow The Sun’, any of the bands many career hits. ‘Follow The Sun’ was just released in October 2012, with the band debuting the new music at a string of stadium shows in support of Maroon 5 and then Matchbox Twenty. This ‘Hero’ tour will now be the first opportunity for fans to hear the triumphant new music on the bands own Evermore terms of a headline show. Internationally, the band have had some recent massive breakthroughs with the prestigious HBO Network selecting ‘Follow The Sun’ as the music bed for their 2013 new season TV prom that is running across North America. Dreamworks studio have also selected ‘Follow The Sun’ for the trailer of their forthcoming animated feature ‘The Croods’ for the US also. The band will be heading to the US for shows in July, so the ‘Hero’ tour is the perfect place to see the band before we possibly lose them to allure of the North Hemisphere.